Krispy Kreme fans, read this! 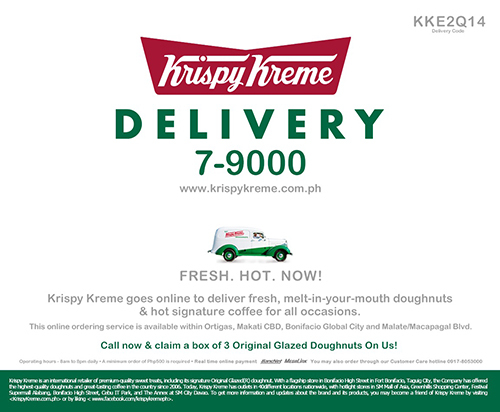 Too bad they don’t have delivery service in Quezon City area. This entry was posted in Promo, Snacks and tagged krispy kreme, Krispy Kreme donuts, krispy kreme online delivery on June 10, 2014 by Yami.